As the oldest and largest multilateral lender in Latin America and the Caribbean, the IDB Group is the premier partner for private sector projects that combine financial and social returns to contribute to poverty reduction and sustainable economic development. Building on its solid financial position, local networks and extensive knowledge, the IDB Group partners with institutional investors, high net worth individuals as well as foundations and other impact investors to mobilize financing and provide technical assistance for projects seeking to address the needs of the low-income population in its 26 borrowing member countries in Latin America and the Caribbean. All the projects follow high environmental, labor, health and ethical standards; and are screened and monitored for development impact. The IDB Group, through its four private sector windows, partners with impact investors to co-finance projects though equity investments, syndicated loans as well as partial credit guarantees. Our deals are based on market pricing and are structured to ensure repayment of resources invested in the project. IDB Group offers products and services to a wide range of players ranging from microenterprises to large companies, as well as financial intermediaries and non-profit organizations. What types of projects and sectors does the IDB Group support? The IDB Group supports projects from all sectors. We give priority for projects that promote regional and international integration and trade, the sustainable use of natural resources and greater social inclusion, particularly those that provide high-quality goods and services for the low-income population. We invest in projects in education, health, housing, job training, capacity building and infrastructure, such as transportation, water and sanitation and energy. We also support projects that seek to address and mitigate the impacts of climate change in the areas of renewable energy, energy efficiency, recycling and biofuels. We invest in projects that will foster greater access to credit and capital markets for businesses of all sizes and financial institutions. We do not invest in projects that are deemed illegal under the laws and regulations of the host country or under ratified international agreements or conventions. Download the IDB's Impact Investing Fact Sheet. How can I do impact investing with the IDB Group? Impact investors can team up with the IDB Group to provide grants, equity and debt for high-development impact projects in the Bank’s 26 borrowing member countries. Moreover, impact investors can also co-invest on projects that are being financed by the IDB Group. Impact investing is done by the IDB Group’s four private sector windows: Structured and Corporate Finance Department, Inter-American Investment Corporation, Multilateral Investment Fund and Opportunities for the Majority. What are the benefits to work with the IDB Group? Vast knowledge of Latin America and the Caribbean: As the region’s largest multilateral lender with over a half century of operational experience, we have the networks that enable us to build bridges and create alliances. Innovative products, well-calculated risks: Our financial practices and products, risk mitigation techniques, and tailor-made solutions enable us to close deals. Our transactions are recognized as models of excellence. Financial additionality: We can offer longer tenors, act as a catalyst to mobilize additional financial resources from third parties, and structure deals that meet the needs of individual clients. A culture of responsibility: We have built tremendous goodwill with our clients in the region that helps us to reconcile interests among different parties. Sustainable investments: We follow high environmental, labor, health, and ethical standards. Financial strength: The Inter-American Development Bank is rated AAA/Aaa by Standard & Poor’s and Moody’s. The Inter-American Investment Corporation is rated AA by Standard & Poor’s and Aa2 by Moody’s. What are the IDB Group’s private sector windows and what can they offer? Structured and Corporate Finance department (SCF): leads all non-sovereign guaranteed operations for large infrastructure projects, financial institutions, capital markets, trade finance, companies, and state-owned enterprises in a broad range of economic sectors, including education, health and climate change. Through its A/B Loan Syndication Program, it partners with impact investors to provide loans and partial credit guarantees for projects in Latin America and the Caribbean. It supports green and climate-smart projects and investments that will meet the need of small and vulnerable countries and promote social inclusion. Inter-American Investment Corporation (IIC): is the only multilateral financial institution that has an exclusive focus on providing direct and indirect financing to small and medium-sized enterprises in Latin America and the Caribbean. The IIC provides loans, guarantees, equity and quasi-equity to small and medium sized enterprises as well as financing for financial institutions seeking expand lending to small and medium-sized companies in member countries in the region. The IIC partners with impact investors to co-finance projects through B loans and co-invest in equity and quasi-equity programs, whether through local funds and/or via the China-IIC SME Equity Investment Trust Fund, which investsin equity, quasi-equity, and hybrid instruments issued by SMEs in the IIC’s twenty-six regional member countries. 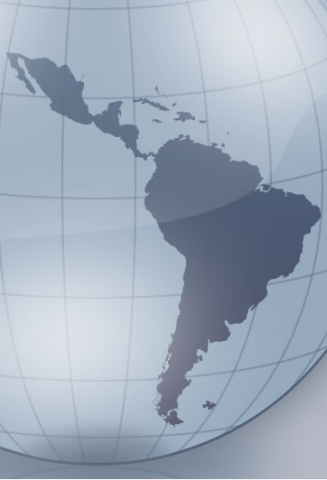 The IIC also offers impact investors access to non-reimbursable resources to support feasibility studies and/or business development services to companies and funds in Latin America and the Caribbean committed to increasing their developmental impact. Multilateral Investment Fund (MIF):is one of the region’s biggest investors in microfinance and venture capital funds for micro and small businesses. The MIF provides technical assistance grants, loans, guarantees, equity and quasi-equity as well as advisory services to business associations, non-governmental organizations, foundations, public sector agencies and financial institutions and, in some cases, private sector firms to support innovative projects that benefit microenterprises, entrepreneurs and small companies. It focuses on increasing access to finance, markets and capabilities and basic services. Opportunities for the Majority (OMJ): provides debt capital, partial credit guarantees and grant resources to finance innovative business models that exclusively support the base of the socio economic pyramid in Latin America and the Caribbean. OMJ makes dierect investments in companies, state-owned enterprises, financial institutions of all sizes, and funds that are seeking to incorporate low- income populations into productive value chains and/or to improve low income populations’ access to quality goods and services. OMJ partners with a wide-range of impact investors to support market based solutions for the base of the pyramid. OMJ works with a company or financinal institution to design the business model and invites impact investors seeking both a commercial and high social return, to contribute to the project with equity, debt or grant resources. By partnering with impact investors, OMJ increases the scope and scale of its investments, while leveraging its investment dollars. Investors can co-finance OMJ projects by participating in the A/B Loan Syndication Program or contribute directly with debt, equity or grant funding. I want to work with the IDB Group. What is the best way to proceed? The IDB seeks partners and co-investors to further develop impact investing in Latin America and the Caribbean. The best way for you to work with the IDB Group is to contact the Office of Outreach and Partnerships at partnerships@iadb.org.